While it's a standard hangout for "Roma Nord" teens on the weekend, Ponte Milvio is pretty much ignored in most Rome city guides. 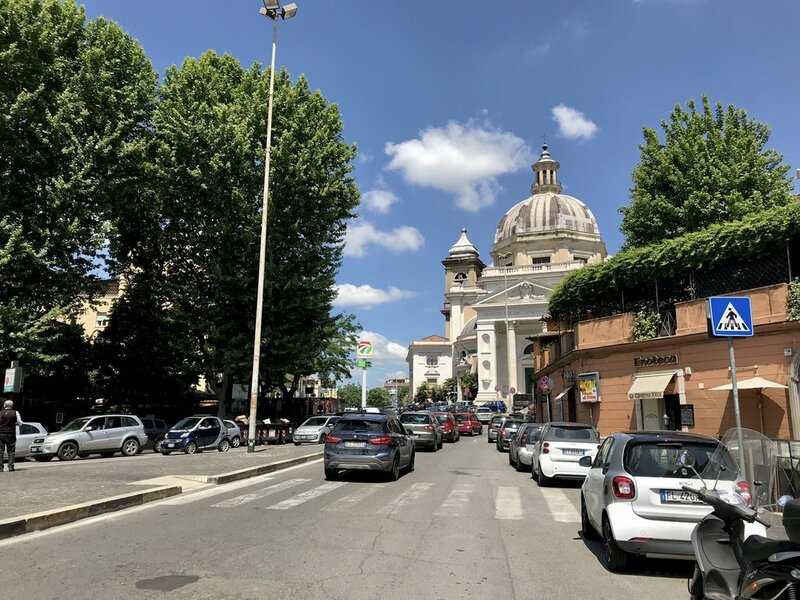 It’s centrally located, but is stuck between the two metro lines so it's a good 40 minutes by foot from the nearest stop, doesn’t have any famous monuments (other than its namesake bride) and doesn’t have the same charm as the other popular nightlife neighborhood, Trastevere. 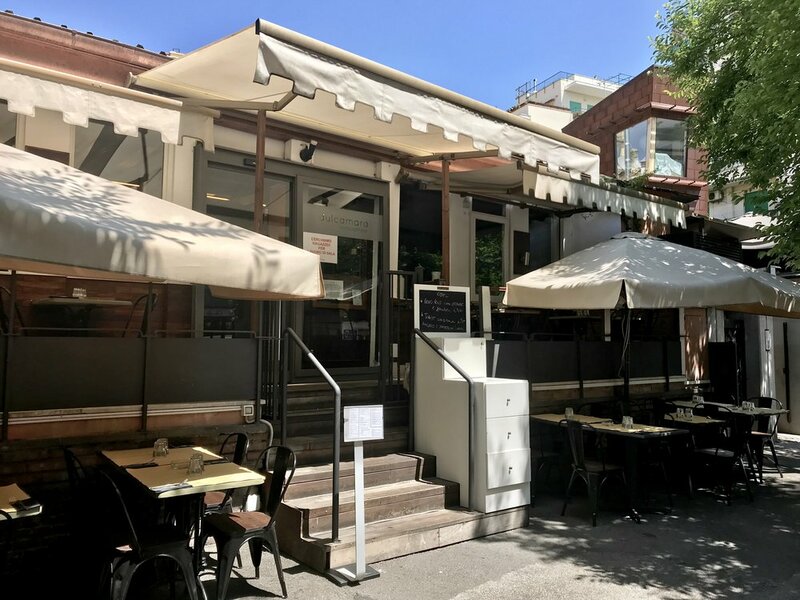 Nevertheless, I think this area is worth a visit for anyone who wants to go out in Rome or is looking for slightly different food options from what you’ll find in the center (calling all foodies). It’s packed with trendy aperitivo spots, mediterranean fusion restaurants, and plenty of places you can grab a drink and hang out outside during the warm months. 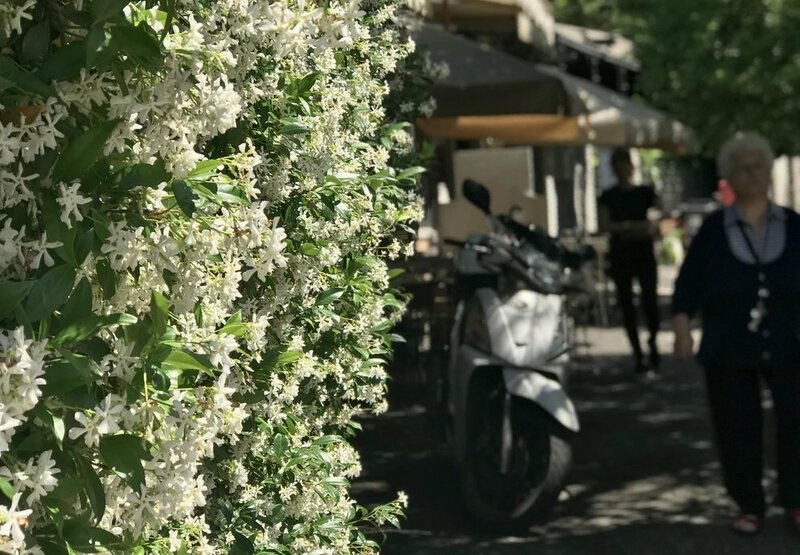 As much as Campo de’ Fiori and Trastevere are overrun with tourists and have lost their charm as nightlife spots, Ponte Milvio is up there with San Lorenzo and Pigneto as the places where you’ll actually find locals on a Saturday night. I still haven’t explored all of its food and drink options but there are a few that I’d love to share in case you do make it over the bridge and into this classic Roman neighborhood. A chain of sushi restaurants in Rome, their location in Ponte Milvio is always packed because Italians love sushi (it’s definitely a big fad here followed closely by avocado bars and hipster burger spots). They have great quality sushi and have less expensive lunch options, plus, it makes a nice break between all the pasta and pizza you’re inevitably eating. Part bar, part restaurant, this famous spot is right near the piazza and offers any kind of beverage you could want. They do wine by the glass, beer and cocktails, with a limited food menu, and classify themselves as “Italian fusion”. To me, their menu includes mediterranean flavors with an asian twist: you can find marinated salmon, breaded shrimp, cous cous, curry “woks”, and salad options. I’ve also worked here a few times with their free wifi with no problem. A restaurant fully dedicated to barbecue, for all the meat-lovers out there. They have chicken, pork and beef along with side options and you can share entrees with a rotating skewer system right on your table. Modern decor and very trendy, just like the Italiani like it. This pub is a Roman institution and is full from lunch until 2 am. They serve everything, but especially bar food, meat and cheese platters and beer/wine/cocktails. This is right on the main drag of Ponte Milvio so you can enjoy people watching if you grab a seat outside. A cafè, pizzeria and restaurant all in one, you can pretty much find anything at Nazareno. Their pizza by the slice (pizza al taglio) is great, they do a good caffè with pastries and the full menu is comprehensive. Great for any time of day or night, with outdoor seating in the piazza. While it can be hard to find brunch options in Rome, this spot does an American style breakfast well. Eggs benedict, pancakes and french toast are all stars here and can help fill those brunch cravings for those of us who usually live without. All the flavors you could want, in a classic Italian gelateria setting. This is the typical Roman bar popup, with a small shack making and serving drinks and outdoor seating all around. It’s also where you’ll find the most Italians casually hanging out, smoking and drinking cheap beer, wine and Aperol spritzes. Where you can get a burger and a beer, no questions asked. There are a ton of craft beer options here from all over Europe, but with a limited wine list. Come if you want to try something other than wine in Rome and check out the many Italian-made craft beers that are seriously great. Speaking of, this is a great wine bar that also does an amazing meat and cheese board, different types of bruschetta and even salads (!) if you’re looking for different aperitivo options. While I still haven’t made it here, I’ve heard good things about this speakeasy in Ponte Milvio. Located right in the piazza but requiring some before-hand knowledge, you’ll need to ring the intercom 2 to be buzzed into this hidden bar. It’s also only open to “members” so you have to buy a membership card for €10 that goes towards your drink anyways. A fun option if you’re looking for something different! An easy place to sit inside or out with a drink and wifi, I’ve worked on my computer a couple of times at this bar and it’s lively, with out-there decor and great energy. The bridge that this neighborhood is named after is also a nice place to kick back with friends and hang out. You can grab a drink from a street side shop or bar and drink with your feet hanging over the Tevere. If you really want to live “la vita romana” get yourself to a soccer game at the stadium right across the bridge. If you can grab tickets to see A.S. Roma play, you’ll get a real understanding of what drives the men in this city (it’s always the calcio). A monthly vintage market with lots of different things for sale that winds along the Tiber river. I can’t wait to check this market out on the next second Sunday of the month (here are some other great options for vintage markets in Rome). Even if you can just make it out here for dinner and drinks one night, I think coming to Ponte Milvio is a great experience to have on any trip to Rome. You’ll escape the somewhat deceiving centro storico for a night and be surrounded by Romans in an area full of great drinking and dining options. To get here, leave yourself enough time to wait for a bus or count on taking a taxi.